Pays for one coroplast lawn sign in a public area. Pays for printing of neighbourhood flyers. 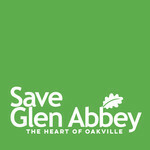 Save Glen Abbey is managing the funds for this campaign.